The West Highland White Terrier temperament has a more mature disposition than you might expect from such a tiny dog. And with adult Westies coming in at between 9 and 12 inches tall, rest assured that he is a tiny dog indeed! The West Highland White Terrier, (a.k.a. the “Westie”), is a Scottish breed of terrier. Every Westie is different, so it’s difficult to gauge what a “normal” West Highland White Terrier temperament should be. For instance, while some Westies are great with kids, others would rather be left alone. They can also be possessive with both their toys and their food. And they won’t stand for rough handling like, for instance, a child pulling at its ears or tail. The alert West Highland White Terrier temperament makes him a lively one. You will notice this when its ears perk up if there’s another animal around, like a cat or another small dog. He's always ready for a chase, so it’s important that you keep an eye on him so you can reprimand him if he does this. Regardless of the Westie's nature to chase small animals, he’s still a rather friendly dog with strangers and children. He’ll jump at the chance (perhaps even literally) to indulge in some companionship. The West Highland White Terrier is a loyal dog. And he is the friendliest and happiest of all the Scottish Terrier breeds, which, in addition to the Scottish Terrier, include the Cairn Terrier and the Skye Terrier. The courageous West Highland White Terrier temperament means that he is self-confident while in the presence of other dogs. You have to train him not to pick fights, which is something that he’ll be inclined to do, despite his tiny size. You may be surprised, but the Westie actually makes for a pretty good watchdog, despite his smaller stature. Two things he loves to do are digging and barking, and he'll do plenty of the latter if he feels someone is encroaching on his territory. If you want to take your Westie on vacation with you, he’ll love the idea! And, considering his tiny size, he’ll fit easily into a carrying case. The Westie is a robust dog, and he’s generally up for any challenges you want to throw at him. The independent West Highland White Terrier temperament can be a strength, but it can also be his downfall. One thing to watch out for with the Westie is Small Dog Syndrome (SDS). This is a condition that small dogs sometimes develop if their owners are softer on them in the training department. Dogs with this condition are tiny but mean because their owners are more tolerant of their bad behavior than bigger dogs. This dog needs to see you as his true pack leader. You must be firm, confident, and consistent else he can take up such unsavory behavior as biting, snapping, or guarding disorders (like guarding his food or the furniture). He could even seek out fights with other dogs. Another thing to keep in mind is that a Westie may need his training refreshed every once in a while. He can be stubborn at times and give in to his instinctual drive to hunt. For example, he may chase a ball into the street, or run after small prey rather than remain on the property where he belongs. The same goes for barking and digging. Because these are two of the West Highland White Terrier’s favorite things to do, you may have to remind him that barking at the mailman or digging up your flower bed is not part of the deal. Experts trace Scottish White Terriers back as far as the 1500s, during the reign of James VI of Scotland. The story goes that the king ordered a dozen terriers sent to the Kingdom of France as a gift. Interestingly, back then people thought of white dogs as being weak and preferred dogs who were sandy or brindle-colored. For this reason, those who bred white dogs either tried to end the breed or disassociate themselves with them – until they realized it was an evolutionary trait that they could not avoid. But eventually, love for the white dog grew to the point where the Westie did well in dog shows on both sides of the Atlantic. Good thing, too, since he is such a lovable pet and scrapper of a dog. The Westie has an independentstreak for miles, and he is a very confident little dog. Though, because heoften wants to go off and do his own thing, training him can sometimes betough. As long as you keep trainingyour sessions new and exciting, you should be able to hold his interest. Itwouldn’t hurt to keep those sessions short either – five to ten minutes atmost. For help with training your Westie dog take a look at The Online Dog Trainer by Doggy Dan. Doggy Dan is an expert Dog Trainer based in New Zealand. His online resource contains Hundreds of Excellent Dog Training Videos that will take you step-by-step through the process of developing a healthy, happy well-behaved dog. On average, West Highland White Terriers live about 12 to 16 years. Unfortunately, this breed carries with it a host of predispositions to health issues that can affect his quality of life. Abdominal hernias are one such condition, as is a disease known as Craniomandibular osteopathy, a.k.a. “lion jaw” or “Westie jaw”. This condition typically occurs in dogs under a year old and makes it difficult for the pup to chew and swallow food. A test can diagnose this condition, and it often reaches its peak by the time the dog turns one year old. Sometimes it even regresses. Unfortunately, if it does not regress, euthanasia may be your only option. “White Dog Shaker Syndrome,” a condition involving tremors and muscle coordination problems that can last longer in males than in females. Note: Our Health is #1 Priority. It should be no different or your Westie. But you need to help him. The Ultimate Guide to Dog Health is the answer. This handy guide will help you recognize the symptoms of the health problems above. Get the knowledge to stay ahead of these terrible issues that can rob your lovely Affe from vigor and life. Help your friend make it to 14 yrs+ without pain and suffering. You must groom your Westie regularly to keep him looking his best. The best way to take care of the Terrier coat is to “strip” it, or pluck the dead hair he has shed out from his coat. You can also have a professional groomer give him a haircut to keep him looking neat and clean. DO NOT attempt to clip him yourself. A bad clip can result in the hair growing back wrong, and permanently. Experts recommend visiting a groomer for a clipping every four to six weeks. You also should take care not to bathe him too often, as his coat doesn't need it and can even suffer for it. If you are looking for a hypoallergenic dog, such a thing does not exist. While some dogs cause people less allergies because they have less hair and/or dander, the only way to know if you're allergic is to spend time with the dog. Westies need regular exercise, but nothing too crazy. A daily walk and/or a romp in the yard will do him a world of good. This is good if you are like most people in that you don’t get a lot of exercises, and you’d like to get a little more but don’t have time for a lot. Getting a dog is a great way to get in shape because if you take him for a walk, then you’re getting a walk, too! If you do take him for a walk, don't let him off the leash. And only let him run free in a yard that has a fence. If he catches sight of anything that even remotely looks like prey, he can take off and get lost – or worse. If you're thinking of adding a West Highland White Terrier puppy to your family, first off: congratulations! Next, you should be able to find a West Highland White Terrier for sale either from a breeder or through your local animal shelter. The average West Highland White Terrier price is between $900 and $1,200. This price can change based on the lineage of the puppy you select, as well as what the breeder decides to charge based on rarity or location. If this price is a bit steep for you, then you may want to consider adoption, rather than buying a dog from a breeder. The only thing about adoption is that you are less likely to get a purebred, but if you don’t really care about that, then adoption is the way to go. If you would like to adopt a West Highland White Terrier puppy, you may be able to find one at your local rescue organization. It all depends on the “stock” the shelter has at any one time, and that stock always changes. Adoptions are good for folks on a budget, as well as folks who can't be bothered to train a small puppy. If you're looking for a West Highland White Terrier mix, you'll have better luck with an adoption. Breeders typically specialize in purebreds, while the “mutts” end up at the shelter. But hey, “mutts” need a good home, too! If you're researching Westie breeders, you may want to check out the website for the West Highland White Terrier Club of America. In addition to helping you find the right breeder, they also have information on adoptions, if you'd rather go that route. 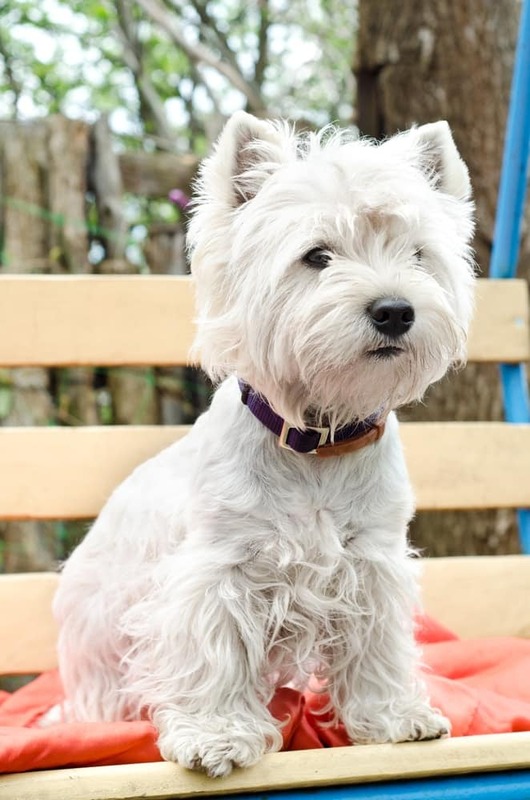 Either way, there are plenty of folks out there interested in rehoming Westies with good families – will yours be that family? 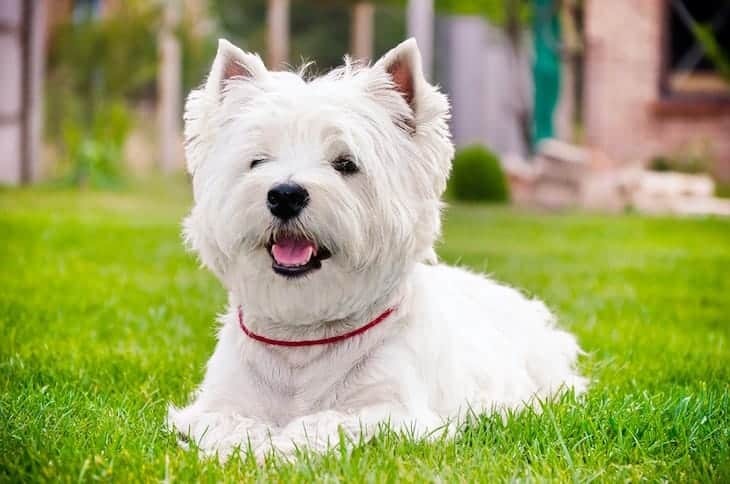 Now that you know more about the friendly West Highland White Terrier temperament, you can make a better-informed decision about whether or not you want to bring one home. 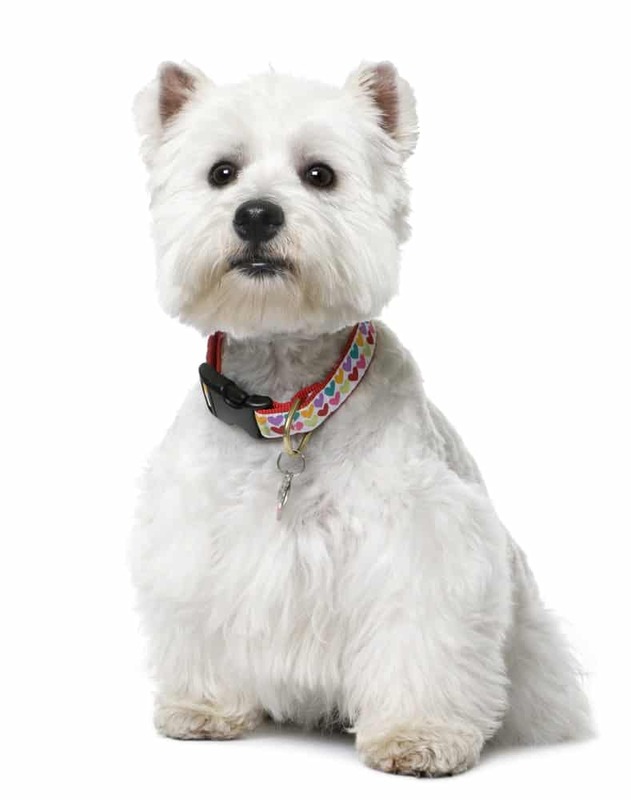 You now know that with the Westie, you’ll be getting a loyal, active, and happy pup. Just be careful that you don’t give him too much leeway, or he’ll go from happy to scrappy in no time. Westies are generally healthy, though you do have to keep an eye out for “Westie jaw,” among other things. The good news is that this typically presents within the first year of the dog’s life, so if he doesn’t have it as a puppy, then he should be good to go.